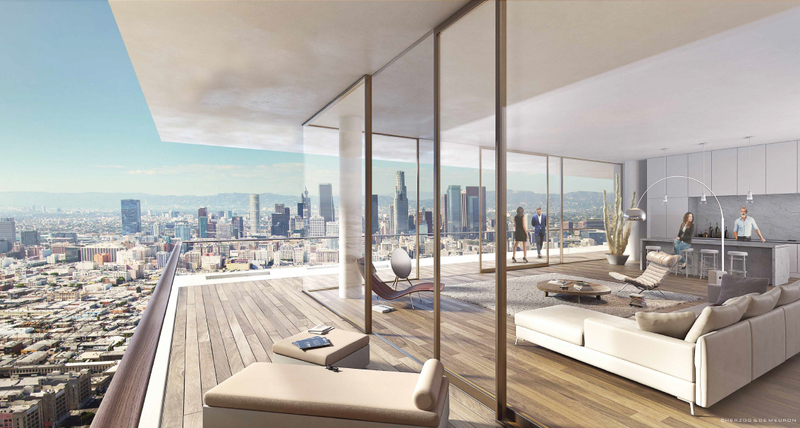 Irvine, California-based developer SunCal has released details for a Herzog & de Meuron-designed, $2 billion development plan that aims to jumpstart the creation of a new skyscraper district on a 14.5-acre site at the southern edge of Downtown Los Angeles. 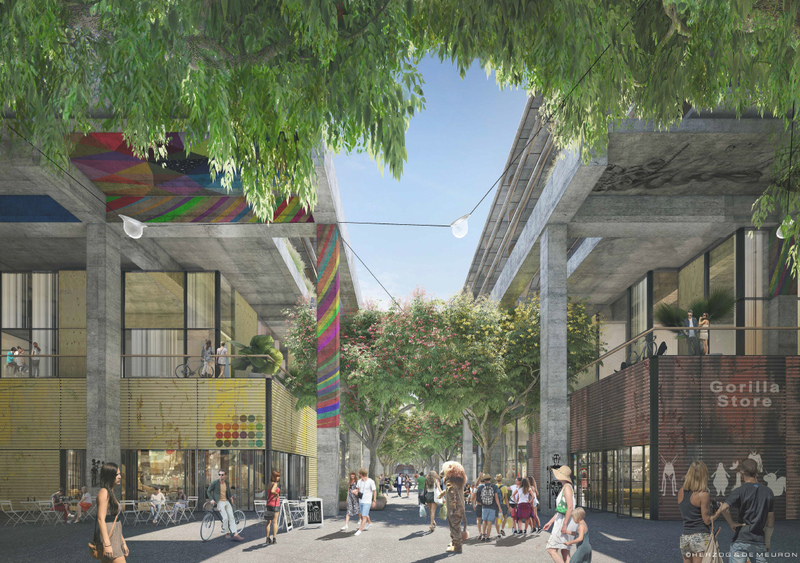 The project, dubbed 6AM after its location on 6th Street, between Alameda and Mill Streets, would bring roughly 2.8-million square feet of mixed-use development to rapidly growing corner of L.A.’s booming Arts District. 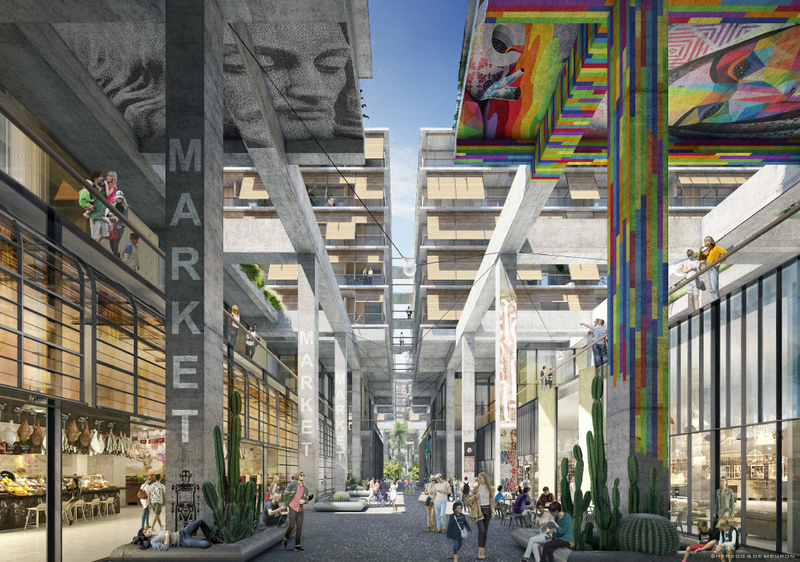 According to The Downtown News and Urbanize LA, the proposed development would entail 1,305 apartments and 431 condominiums in an area rapidly transitioning from low-rise industrial and DIY art gallery functions to something much more akin to a traditionally-developed, contemporary urban area. 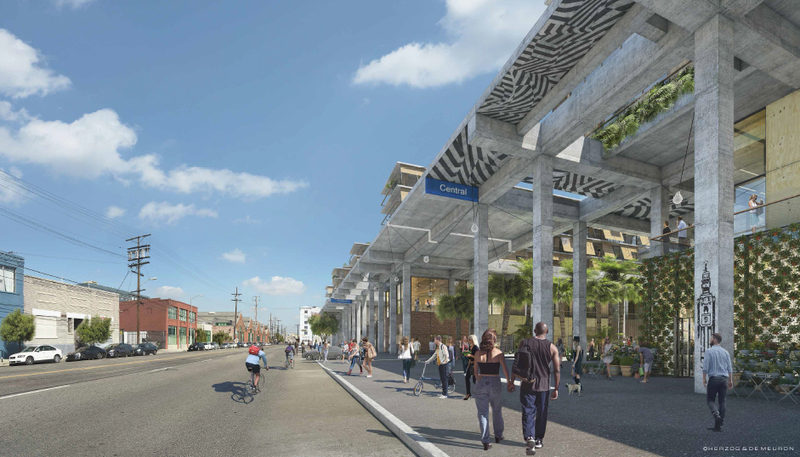 The project, which would be located directly on a proposed light rail extension running along Alameda from Union Station in Downtown L.A. to the south Los Angeles County community of Artesia, would mirror the intense, high-rise growth currently ongoing in the areas surrounding Downtown L.A’s rapidly-growing transit system, like those along the Expo Line corridor and on the northern edge of South L.A. between the Expo and Blue Lines. The development of the Artesia line would be contingent on the passage of the Los Angeles Metropolitan Transportation Agency’s Measure M ballot initiative this fall. 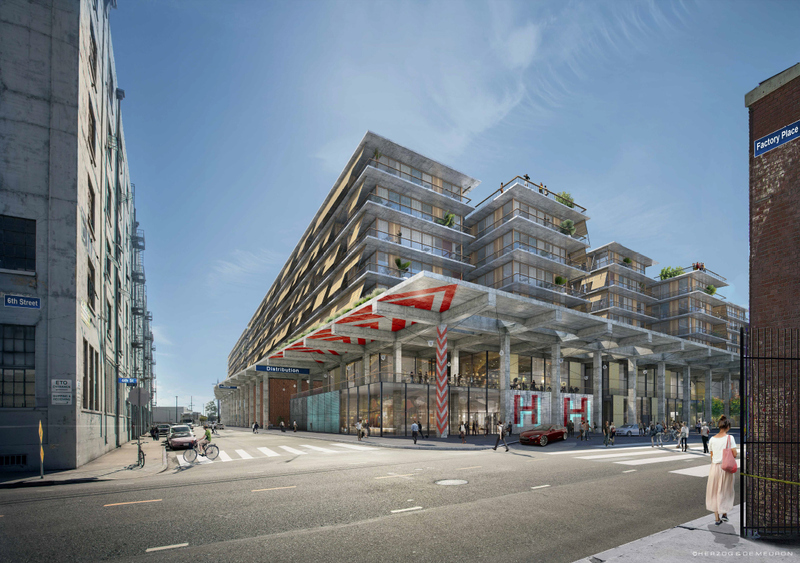 Notable aspects of the project include a 430,000-square-foot hotel, 250,000 square feet of office space, a 29,000-square-foot school, 23,000 square feet of gallery space and 128,000 square feet of commercial space. Although the final configuration of the program and site are years away from being built, the addition of the educational and gallery components of the program mark a shift in tenor for the Downtown area, which has mostly seen an increase of luxury housing and associated commercial spaces in recent years. 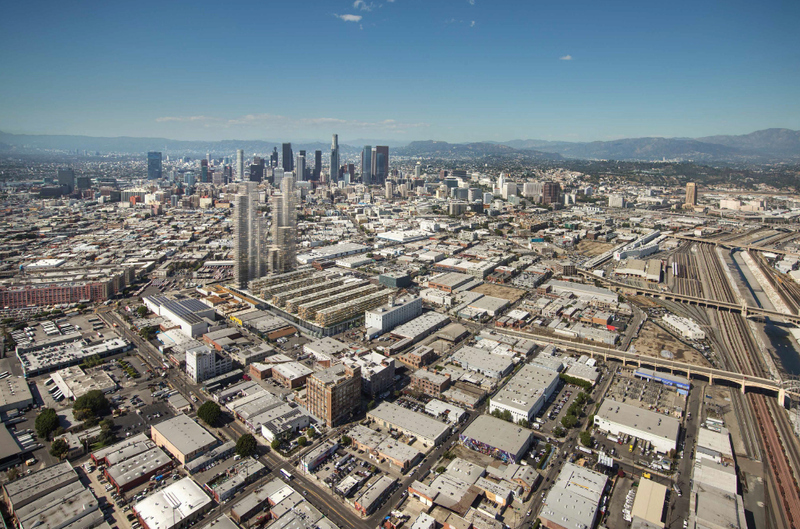 The addition of educational program could signal a transition toward a more holistic, neighborhood-style vision for the area separate from the consumption- and lifestyle-oriented developments that have marked Downtown L.A.’s recent development. Released information for the plan does not detail whether any of the housing units in the development will be affordable, however. 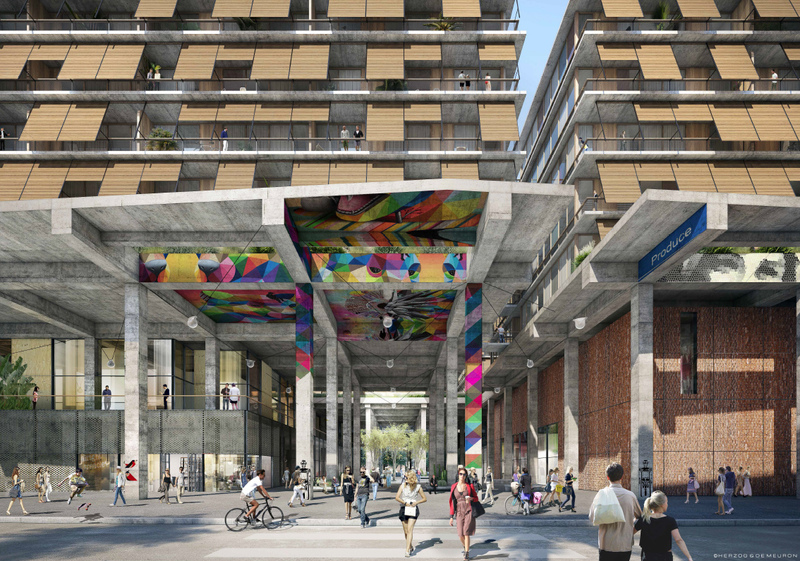 The project itself is articulated as a grouping of parallel bars of mid-rise apartments, offices, and hotel blocks, much of which is lifted roughly forty feet above street level on a raised platform whose upper surface will be level with the cornice lines of nearby industrial buildings. 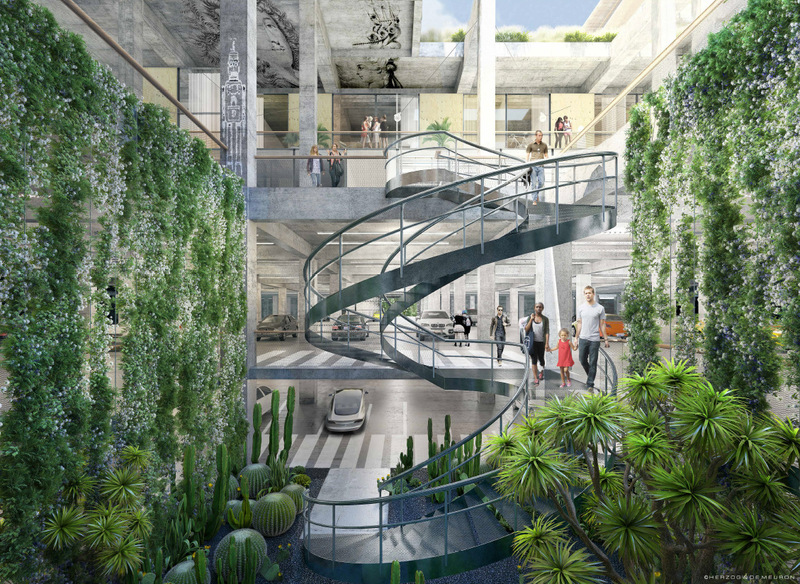 Areas between the ground floor and this pedestal will contain commercial spaces services by exterior walking paths and leisure courts. 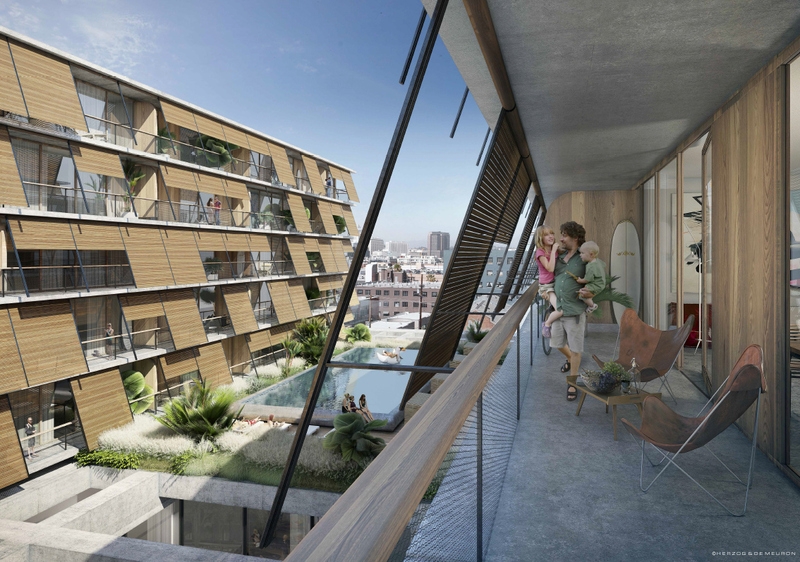 The most daring aspect of the proposal entails a cluster of seven housing towers aligned along the length of Alameda, with the highest tower climbing to around 58-stories and a height of roughly 700 feet. 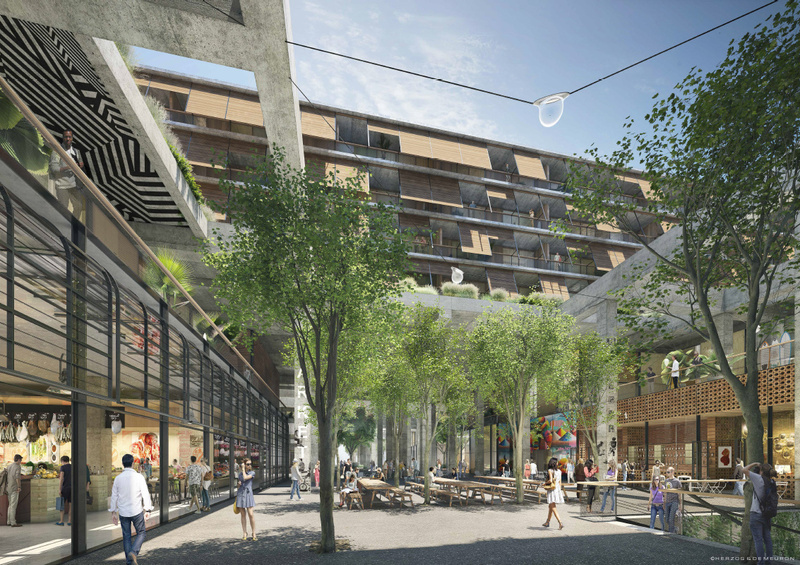 Mia Lehrer & Associates will be providing landscape architecture services for the project, while AC Martin will serve as executive architect. 6AM is expected to be built in three phases starting around 2018. This story was first reported by the Los Angeles Times.